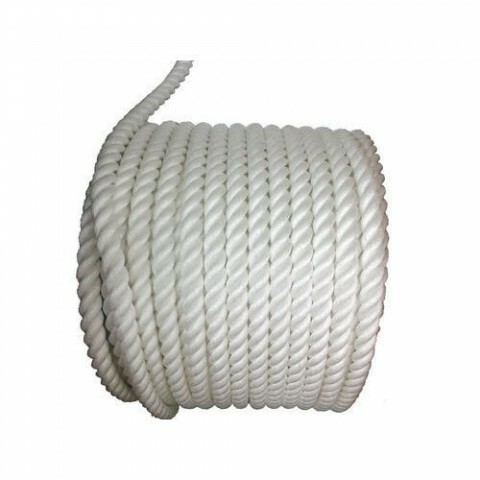 We are the leading manufacturer and supplier of White Nylon Rope from Rajkot, Gujarat. These Nylon Ropes are made of high grade of raw materials. We guarantee that all our products which we offer are the best in quality and highly durable. we deliver an exceptional Nylon Rope to our customer. This item is available in white color and customized sizes at a very reasonable cost. Vraj Plastic was established in the year 2013 to offer an elite scope of bundling items to customers all through the nation. Under the direction of Mr. Rajesh, the Ceo of the firm, we have picked up an amazing position in the market. Our organization is situated in Rajkot, Gujarat (India) and we are an eminent name the nation over. Copyright © 2019 Mr. Rajesh. All Right Reserved.